Smores, Smores, Smores! The kiddos were so excited! After a day of raking leaves with Daddy, going to Lowe's and collecting sticks for the fire, the kids were finally able to enjoy their special treat. Thank you so much to Kinnikinnick for making gluten-free graham crackers! As far as I know Kinnikinnick is currently the only brand that makes gluten-free graham crackers. 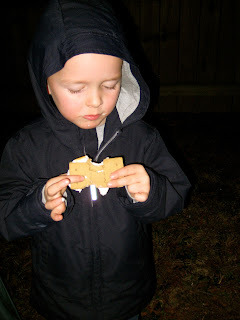 We may have to travel 25 minutes to get them, but it's worth every minute so Jack can enjoy a Smore as well! 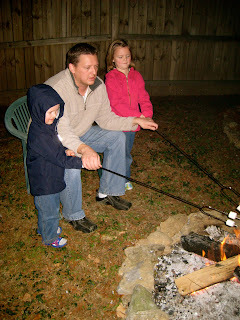 Nothing like gooey marshmallow and melted chocolate together! Jack taking the plunge! So good! 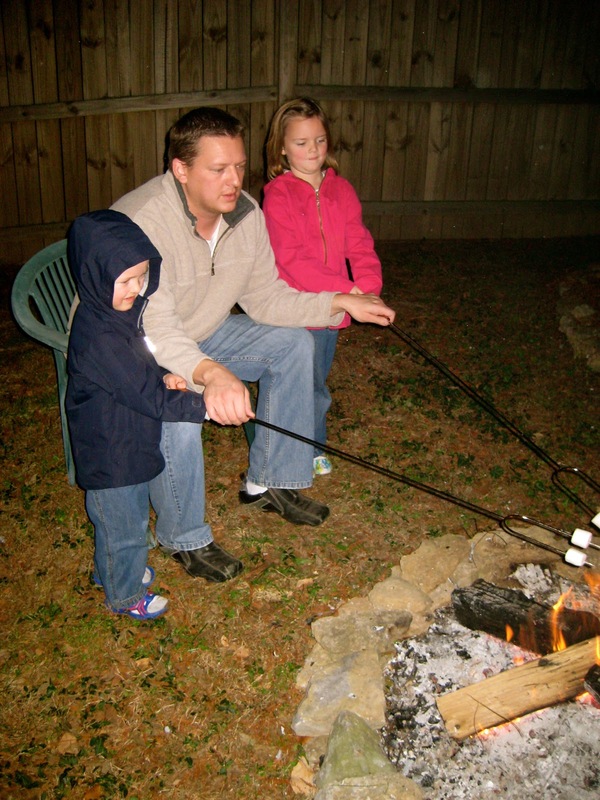 We use chocolate chip cookies sometimes for smores. Sometimes its easier than trying to find the gf graham crackers.